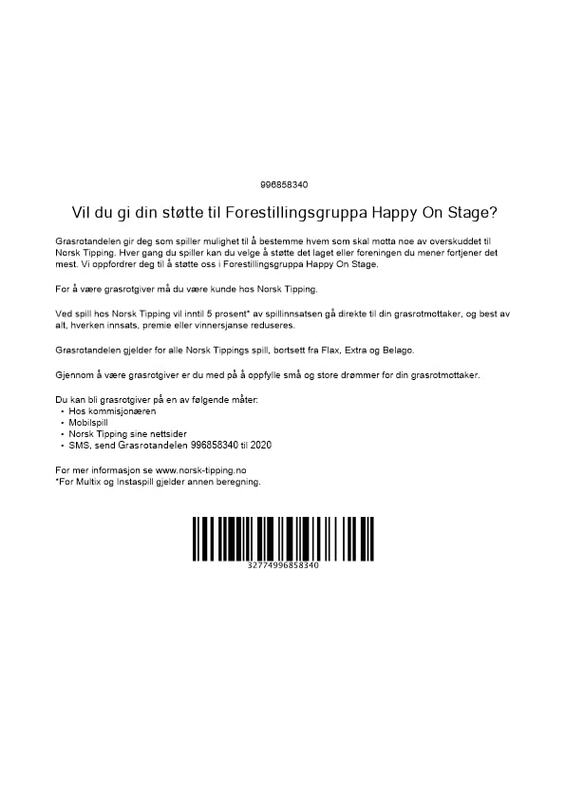 Some dedicated parents have organized Grasrotandelen for DNBS, with the name “Forestillingsgruppa Happy On Stage”! We greatly appreciate if those who make use of games in Norwegian Tipping want to contribute to DNBS at the same time. The only thing you need to do is register with Norsk Tipping and you can play how little or how much you want. Then share your Grasrot andel with DNBS, and the profit will go to DNBS. And the percentage is of course not of the actual prize, but your “share” of Norwegian Tipping grassroots fund. Search either on “Forestillingsgruppa” og the organisation number: 996858340. You may also register with a commissioner. You may give the name or the organisastion number directly to the commissioner. 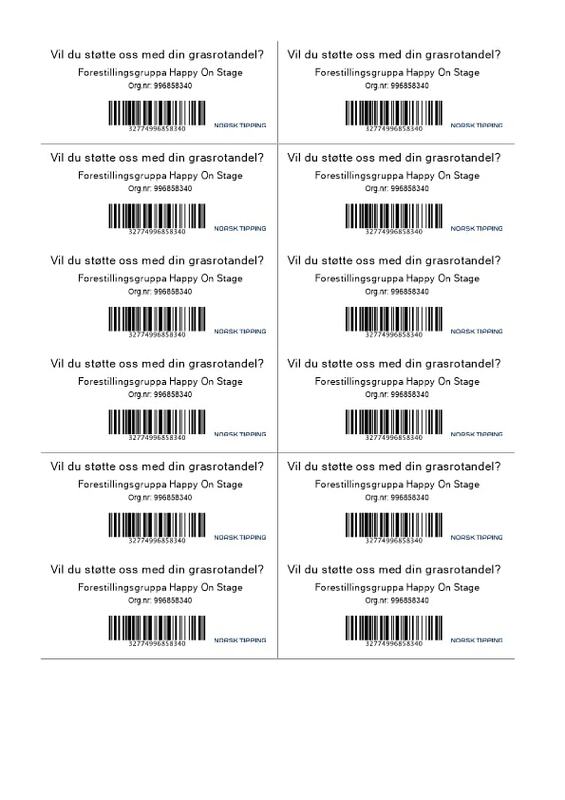 Or bring a copy of the info we have with relevant info (vervebrevet) where you will find a code that the commissioner may use to scan. See below here. There is perhaps some grandmother, grandfather, aunt or uncle, or neighbor, or a friend who would like to support DNBS this way. We appreciate all contributions! ← Avisa Valdres, September 2018.